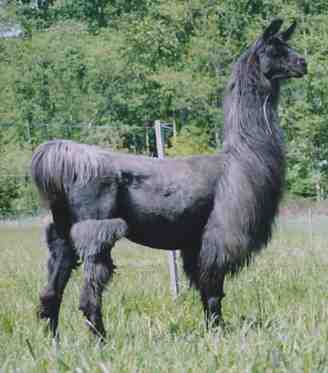 Gevalia is due to Huaycool for an April 2019 cria. A cross of two of our very best and proven producers, Gevalia is destined for greatness. She is a baby sister to full siblings-﻿ JNK Marisco's Macchiato﻿, JNK Marisco's Kahlotus, JNK Marisco's Venicia and JNK Marisco's Ducati. Half siblings by other sires are- JNK Zumiez's Sirmione, JNK Huaycool's Frisella and JNK Huaycool's Rosabella. All of these animals have been house cleaners in the showring. We expect the same for this young promising girl and have not been disappointed yet. 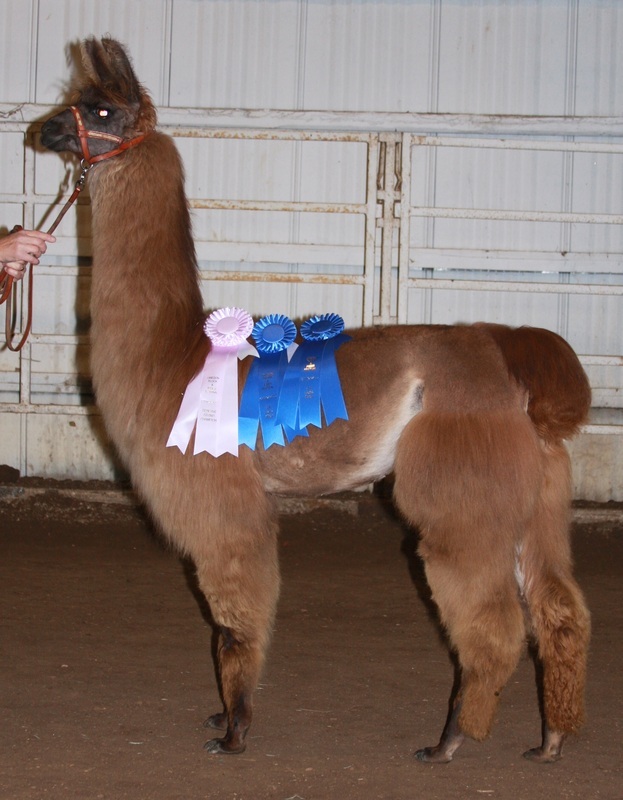 Gevalia is a finished ILR-SD Halter Champion having earned all six halter titles in only six shows. She ended the 2014 show season as an Overall Reserve Best of Show female at the OFFF Show. Gevalia did three years of 4H/youth handling with Drew. Drew trained her for therapy work too! 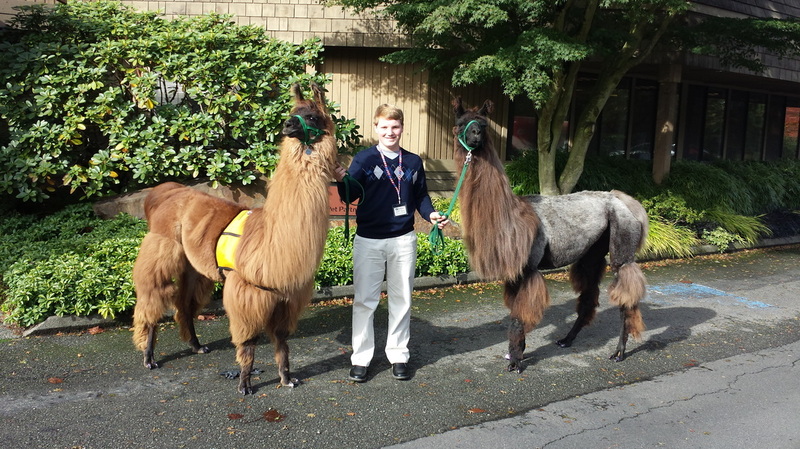 Gevalia is slatted to go to New Zealand to Serenity Park Llamas which is owned by Terry & Sandra Spekreijse.